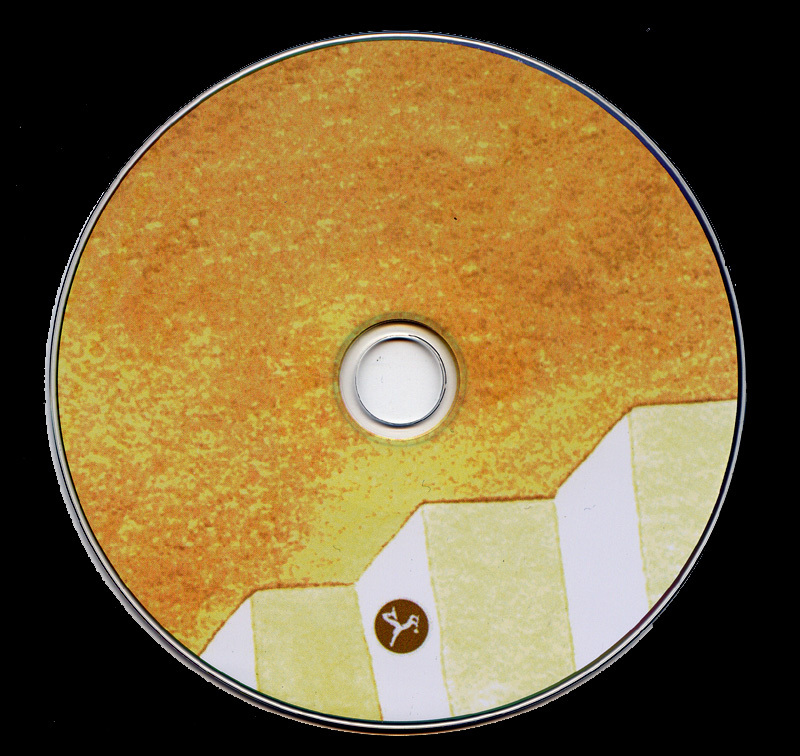 Edition number twenty-four by Amirani records is Fine Tuning. Taken live at 2008 All Frontiers festival finally on record this great, sincere, fresh duo finds here an happy declination of its intrinsecal creativity. 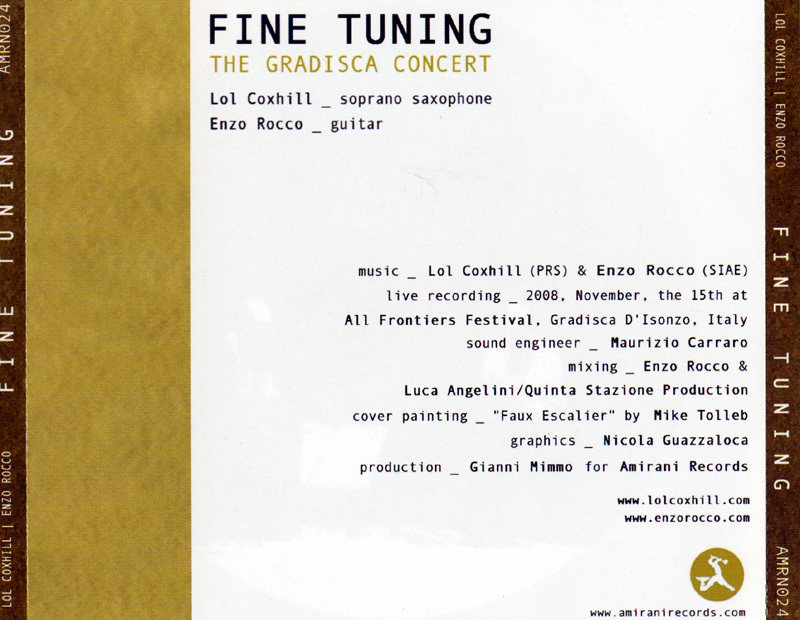 The ubiquity of Coxhill’s sax lines are here answered, cherished, enhanced by the excellent guitar touch of Enzo Rocco. It’s a sort of subtle anarchic dance, intriguing and true. 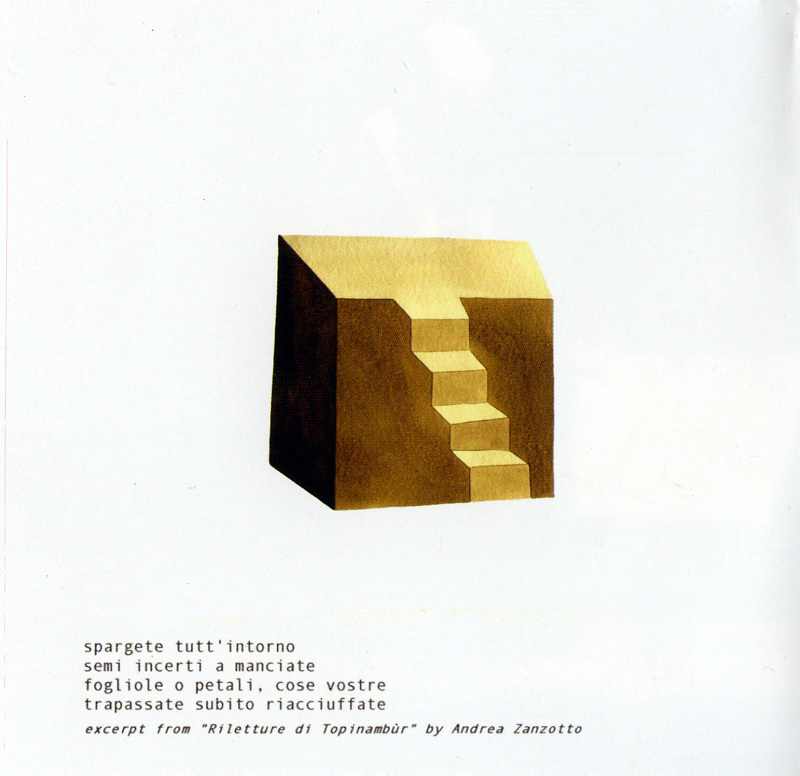 Lol Coxhill’s unique sound statement is really an impro trademark: hypnotic and cartoon, lyrical and harsh. Enzo Rocco’s intelligent drive has the gift of immediacy and the force of depth, at the same time. Amirani records is proud to be part of this venture! DON’T MISS THIS LIVE! DON’T MISS TO FINE TUNE YOUR EARS! Check out the Mauro Dazzara’s video of the live concert on www.enzorocco.com or just click the image above. For decades, Coxhill has been a staple within the British free-jazz movement, yet is a supremely versatile artist who has appeared on progressive-rock and mainstream jazz outings. Here, he aligns with Rocco for a continuous piece that is built on extended note contrasts and upbeat dialogues, spiced with the guitarist’s willowy single note runs. 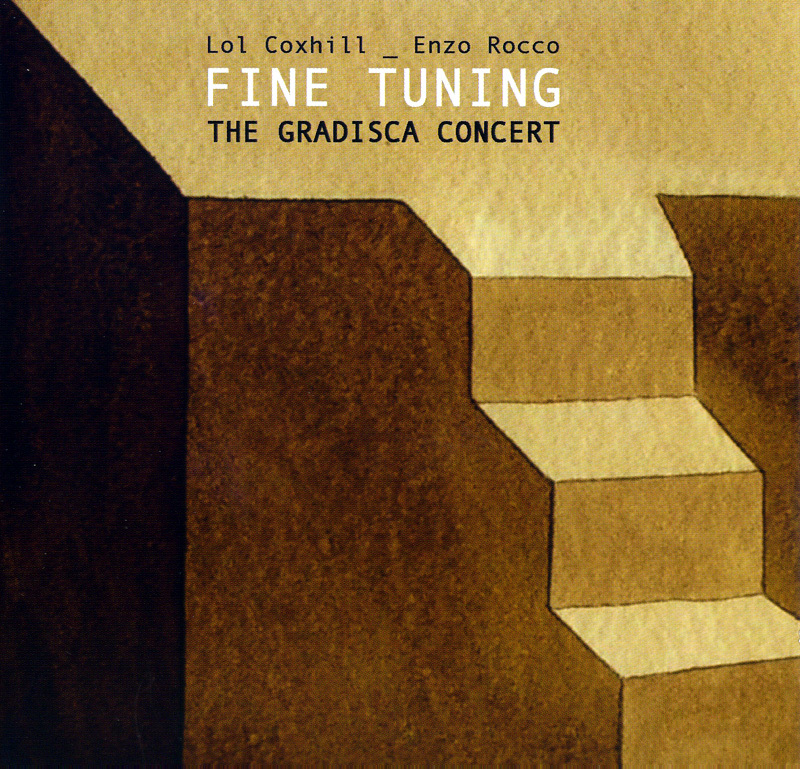 Rocco’s meticulous and animated lines are abetted by closed-hand techniques and linear passages, often serving as the rhythmic element, while Coxhill’s wily means of mimicking and dishing out contrapuntal phrasings are designed with pleasantness and keenly offset with edgy overtones. 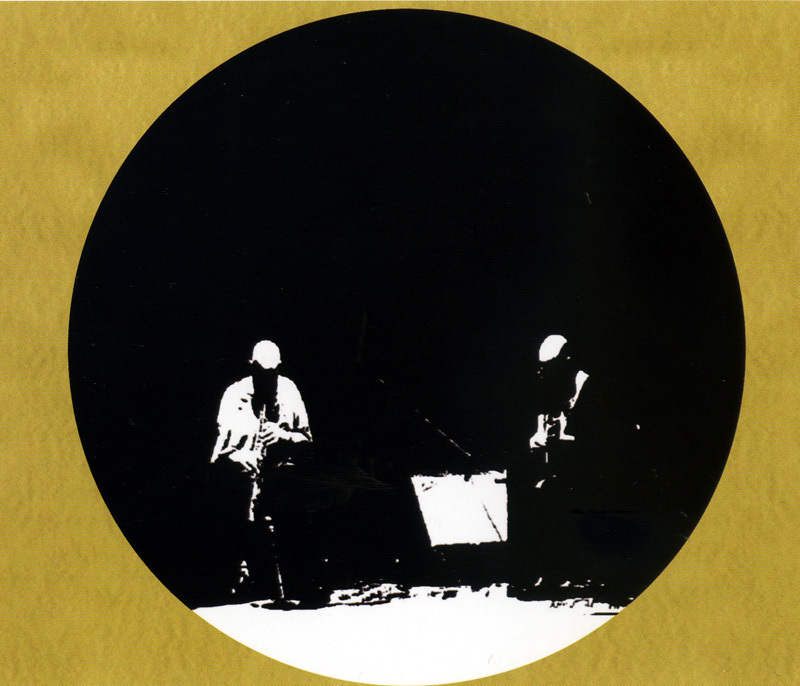 The duo instill a budding current, tangled with a web-like array of deviations that induce notions of synchronicity, for free improvisation framed upon the duo’s charismatic exchanges and unbridled synergy.